Yoga is a family of ancient spiritual practices that originated in India, where it remains a vibrant living tradition and is seen as a means to enlightenment. Karma Yoga, Bhakti Yoga, Jnana Yoga, and Raja Yoga are considered the four main yogas, but there are many other types. In other parts of the world where yoga is popular, notably the United States, yoga has become associated with the asanas (postures) of Hatha Yoga, which are popular as fitness exercises. Yoga as a means to enlightenment is central to Hinduism, Buddhism, Sikhism, and Jainism, and has influenced other religious and spiritual practices throughout the world. Important Hindu texts establishing the basis for yoga include the Yoga Sutras of Patanjali, the Bhagavad Gita, and the Hatha Yoga Pradipika. Modern yoga practice often includes traditional elements inherited from Hinduism, such as moral and ethical principles, postures designed to keep the body fit, spiritual philosophy, instruction by a guru, chanting of mantras (sacred syllables), quietening the breath, and stilling the mind through meditation. These elements are sometimes adapted to meet the needs of non-Hindu practitioners. Proponents of yoga see daily practice as beneficial in itself, leading to improved health, emotional well-being, mental clarity, and joy in living. (Some skeptics question these claims.) Yoga adepts progress toward the experience of samadhi, an advanced state of meditation where there is absorption in inner ecstasy. For the average person still far from enlightenment, yoga can be a way of increasing one's love for God, or cultivating compassion and insight. While the history of yoga strongly connects it with Hinduism, proponents claim that yoga is not a religion itself, but contains practical steps which can benefit people of all religions, as well as those who do not consider themselves religious. Over the long history of yoga, different schools have emerged, and there are numerous examples of subdivisions and synthesis. It is common to speak of each form of yoga as a "path" to enlightenment. Thus, yoga may include love and devotion (as in Bhakti Yoga), selfless work (as in Karma Yoga), knowledge and discernment (as in Jnana Yoga), or an eight-limbed system of disciplines emphasizing meditation (as in Raja Yoga). These practices occupy a continuum from the religious to the scientific. They need not be mutually exclusive. (A person who follows the path of selfless work might also cultivate some knowledge and devotion.) Some people (particularly in Western cultures) pursue yoga as exercise divorced from spiritual practice. Other types of yoga include Mantra Yoga, Kundalini Yoga, Iyengar Yoga, Kriya Yoga, Integral Yoga, Nitya Yoga, Maha Yoga, Purna Yoga, Anahata Yoga, Tantra Yoga, Tibetan Yoga, etc. It is often helpful to check the teacher and lineage to be sure how these terms are being used. Another name for Raja Yoga ("royal yoga") is Ashtanga Yoga ("eight-limbed yoga"), but this should not be confused with the Ashtanga Vinyasa Yoga developed by Sri K. Pattabhi Jois, which is a specific style of Hatha Yoga practice. In the Hindu, Buddhist, Sikh, and Jain traditions, the spiritual goals of yoga are seen as inseparable from the religions of which yoga forms a part. Some yogis make a subtle distinction between religion and yoga, seeing religion as more concerned with culture, values, beliefs and rituals; and yoga as more concerned with Self-Realization, i.e., direct perception of the ultimate truth. In this sense, religion and yoga are complementary. Sri Ramakrishna likened religion to the husk, and direct experience to the kernel. Both are needed, "but if one wants to get at the kernel itself, he must remove the husk of the grain." While the yoga tradition remains rooted in India, the fact that some modern yogis like Swami Vivekananda and Paramahansa Yogananda came to the West suggests that they saw hope the yoga tradition could also flourish there. Critics of yoga as practiced in the West charge that it is sometimes watered down, corrupted, or cut off from its spiritual roots (e.g. the popular view that yoga is primarily physical exercises). If yoga is one of India's great gifts to the world, the widespread acceptance of that gift - with the concomitant diversity - is sometimes incomprehensible to traditional Hindu practitioners of yoga. Yet the sheer number of people practicing yoga outside India suggests the need to define yoga both by its historical roots and its modern adaptations. The focus of meditation may differ from school to school, e.g. meditation on one of the chakras, such as the heart center (anahata) or the third eye (ajna); or meditation on a particular deity, such as Krishna; or on a quality like peace. Non-dualist schools such as Advaita Vedanta may stress meditation on the Supreme with no form or qualities (Nirguna Brahman). This resembles Buddhist meditation on the Void. Another common element is the spiritual teacher (guru in Sanskrit; lama in Tibetan). While emphasized to varying degrees by all schools of yoga, in some the guru is seen as an embodiment of the Divine. The guru guides the student (shishya or chela) through yogic discipline from the beginning. Thus, the novice yoga student is to find and devote himself to a satguru (true teacher). Traditionally, knowledge of yoga--as well as permission to practice it or teach it--has been passed down through initiatory chains of gurus and their students. This is called guruparampara. The yogi is sometimes portrayed as going beyond rules-based morality. This does not mean that a yogi will act in an immoral fashion, but rather that he or she will act with direct knowledge of the supreme Reality. In some legends, a yogi--having amassed merit through spiritual practice--may then cause mischief even to the gods. Some yogis in history have been naked ascetics--such as Swami Trailanga, who greatly vexed the occupying British in 19th century Benares by wandering about in a state of innocence. Images of a meditating yogi from the Indus Valley Civilization are thought to be six to seven thousand years old. The earliest written accounts of yoga appear in the Rig Veda, which began to be codified about 2000 BC. It is difficult to establish the date of yoga from this as the Rig Veda was orally transmitted for at least a millennium. The first Yoga text dates to around the 2nd century BC by Patanjali, and prescribes adherence to "eight limbs" (the sum of which constitute "Ashtanga Yoga") to quiet one's mind and merge with the infinite. The first full description of the principles and goals of yoga are found in the Upanishads, thought to have been composed at various times, starting from 2000 BC. The Upanishads are also called Vedanta since they constitute the end or conclusion of the Vedas (the traditional body of spiritual wisdom). In the Upanishads, the older practises of offering sacrifices and ceremonies to appease external gods gives way instead to a new understanding that man can, by means of an inner sacrifice, become one with the Supreme Being (referred to as Brahman or Mahatman) -- through moral culture, restraint and training of the mind. Karma yoga, the yoga of "action" in the world. Jnana yoga, the yoga of knowledge and intellectual endeavor. Bhakti yoga, the yoga of devotion to a deity (for example, to Krishna). Perhaps the classic description of yoga is the Yoga Sutras of Patanjali, which form the basis not only of the darshana called "yoga"--one of six such "orthodox" (i.e. Veda-accepting) schools of Hindu philosophy--but also of the practice of yoga in most ashrams (to the extent these can be distinguished). The school (darshana) of Indian philosophy known as "yoga" is primarily Upanishadic with roots in Samkhya, and some scholars see some influence from Buddhism. The Yoga philosophy fully believes in the epistemology of the Samkhya school, as well as its concept of the individual spirits (Purusha) and the Nature (Prakriti)—but differs from Samkhya's atheism. Patanjali in the Yoga Sutras presents the goal of yoga as 'the cessation of mental fluctuations' (cittavrtti nirodha), an achievement which gives rise to the possibility of stable meditation and thus deeper states of absorption (dhyana or samadhi). This requires considerable restraint (yama) and self-discipline (niyama; see below for Patanjali's eight limbs of yoga)). Patanjali's yoga is sometimes called Raja Yoga (Skt: "Royal yoga") or "Ashtanga Yoga" ("Eight-Limbed Yoga"), in order to distinguish it from Hatha yoga. It is held as authoritative by all schools. Patanjali is also known for writing commentaries (Mahabhashya) on the Sutras of the great Sanskrit grammarian Panini. In fact, Panini, Patanjali and Katyayana are regarded are the highest authority not only in Sanskrit but also in the whole of Linguistics. Asana: This term literally means "seat," and originally referred mainly to seated positions. With the rise of Hatha yoga, it came to be used of these yoga "postures" as well. Meditation upon God is regarded as the best means of attaining Liberation. If meditation on such a Being helps in liberation, and all obstacles are removed, then the object of the meditation must have a real existence. Ishvara is regarded as a special Purusha, the manifested Brahman, the lord of the Universe, who is beyond sorrow and Karma laws, who is one, perfect, infinite, omniscient, omnipresent, omnipotent and eternal. and beyond the three qualities of Sattva, Rajas and Tamas. He is different from an ordinary liberated Self, because the latter were bound once, whereas Ishvara was never bound. He is kind and merciful, the father of the demigods (the various Devas), sages (rishis) and gurus, and the author of the Vedas. However, Patanjali's Yoga views Isvara as the lord of the body only and does not ascribe to him the lordship of the universe or any role in the creation of the worlds. Its description of Isvara is rather ambiguous, since it agrees with Samkhya philosophy in stating that there are as many Purushas, who are infinite and omniscient. However, it does not clarify whether the same Purusha manifests as many or appears as many or how can there be innumerable infinite Purushas pervading the same reality. Over the last century the term yoga has come to be especially associated with the postures (Sanskrit asanas) of hatha yoga ("Forced Yoga"). Hatha yoga has gained wide popularity outside of India and traditional yoga-practicing religions, and the postures are sometimes presented as entirely secular or non-spiritual in nature. Traditional Hatha Yoga is a complete yogic path, including moral disciplines, physical exercises (e.g., postures and breath control), and meditation, and encompasses far more than the yoga of postures and exercises practiced in the West as physical culture. The seminal work on Hatha Yoga is the Hatha Yoga Pradipika, written by Swami Svatmarama. Within the various schools of Tibetan Buddhism yoga likewise holds a central place, though not in the form presented by Patanjali or the Gita. (For example, physical postures are rarely practiced.) An example would be "guru yoga," the union with the mind of the spiritual teacher which must be done at the beginning of the spiritual path and regularly throughout. In the tantric traditions a number of practices are classified with the name "yoga", for example, the two of the four general classification of tantras--"Yoga Tantra" and "Highest Yoga Tantra". A system of 108 bodily postures practiced with breath and heart rhythm timing in movement exercises is known as Thrul-Khor or union of moon and sun (channel) prajna energies. The body postures of tibetan ancient yogis are depicted on the walls of the Dalai Lama's summer temple of Lukhang. 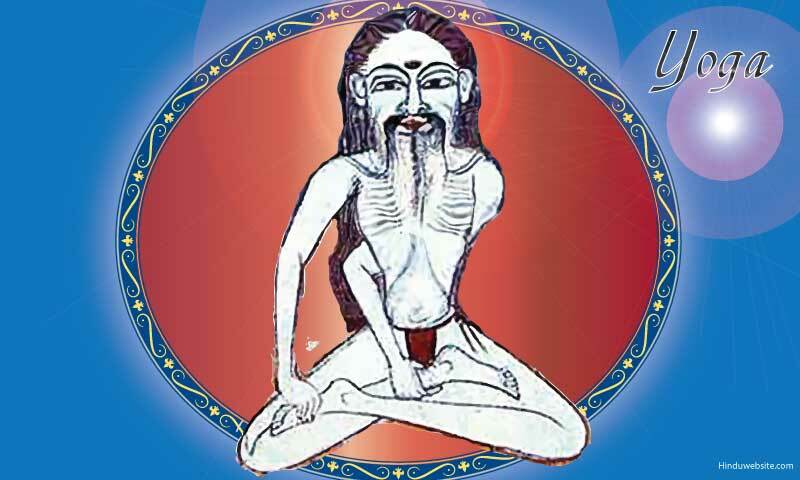 Yogacara ("Yoga Adepts"), which is also known as Cittamatra ("Consciousness Only") is an important philosophical school within Indo-Tibetan Buddhism. Tantra emphasizes mantra (Sanskrit prayers, often to gods, that are repeated), yantra (complex symbols representing gods in various forms through intricate geometric figures), and rituals that range from simple murti (statue representations of deities) or image worship to meditation on a corpse! While tantric texts (see kaularvatantra, mahanirvana tantra) and teachers (e.g. Abhinava Gupta) may seem odd and highly arcane from the point of view of classical yoga, that these incorporate yoga concepts seems clear. In Tibetan Buddhism, which embraces both, yoga is seen as a synonym for "spiritual practice," while "tantra" refers to a specific category of texts and practices, etc. that are roughly analogous to the Hindu ones described above. (The fact that Hindu "yoga" has these things as well may have escaped the attention of classical Tibetan commentators.) In that spirit other Buddhist traditions, such as Theravada, practice a form of "yoga" but reject "tantra." Source: This has been adapted with modifications under the TGNU Free Documentation License from the Wikipedia article "Yoga"